The Euro destroys Europe. 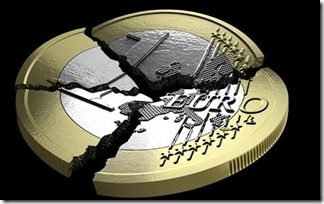 Euro breakup necessary to save Europe. 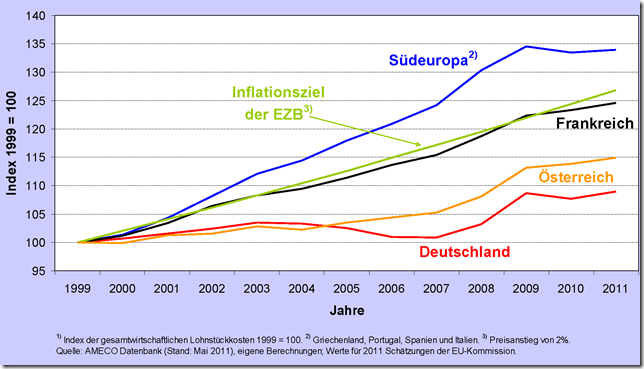 Countries with different inflation rates are are bound together into the common Euro currency. No more corrective currency devaluations ! Production cost differences create serious permanent economical and financial imbalances and fan hostility between nations. 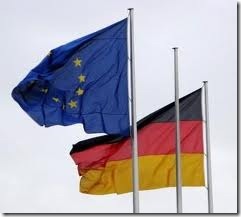 Germany resents paying and guaranteeing crippling amounts of money, worth several years of federal government budget. Greece resents forced austerity, wage reductions and severe recession. The Euro causes suffering, injustice and resentment among European nations. The Euro should have never been introduced as common currency for economically diverse nations. The weakest nations need to leave the Euro. Or the strongest nations could leave the Euro. Or the Euro could split into 2 blocks. Or all European nations need to be equalized: Diversity of European Cultures dooms the Euro. 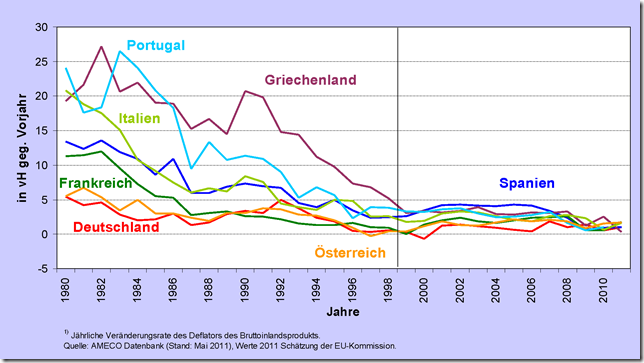 Greeks need to work more then Germans, Dutch to spend more then Italians for the Euro to function. A breakup would be painful. Germany has guaranteed and loaned too much. Loans are too. The European central bank bought lots of potential default papers, in order to transfer losses from banks to the tax payer. But every year these loans increase further. Greece, Italy, Spain have become too uncompetitive and indebted. 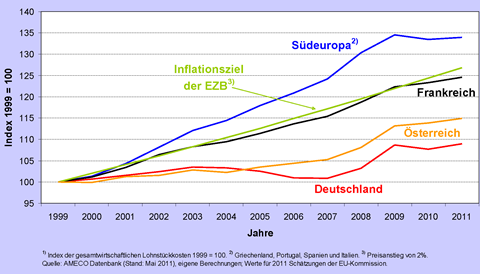 `Germany’s currency is under-valued, salaries are too low, leading to enormous export surpluses. Coins and bills of Greek, or German currencies would need to be minted, causing serious logistic problems. . The finance minister stressed that Finland, one of only a few EU countries to still enjoy a triple-A credit rating, would not agree to an integration model in which countries were collectively responsible for member states’ debts and risks. DeGaulle, French hero, general, and ex-president, had the right vision. He wanted collaboration of sovereign nations, not forced equalization of European nations. Author Human-Stupidy (Admin)Posted on July 13, 2012 Categories EconomicsTags Euro, Greece, austerity measures, cultural diversity, debt crisis, economy, euro countries, euro debt, target 22 Comments on The Euro destroys Europe. Euro breakup necessary to save Europe. Different cultures, differing inflation, same currency. The Euro aggresses cultural identities, thus creates animosity. Over the year, Northern and Southern European nations moved further and further apart, in prices, productivity, production cost. German exports became cheaper, because German workers get paid too little in a currency that is undervalued in Holland and Germany, and overvalued in Greece and Italy. Northern and Southern European countries always had different attitudes towards work, savings, inflation, leisure, strikes, and thus very different inflation rates. Production cost (Unit Labor Cost) and accumulated inflation drifted apart further and further, year after year. Target 2 debt owed by the South to the North accumulated to about 1 Trillion Euro of unpaid (and unpayable) debt. The signs of doom were visible for a decade, but were swept under the rug until the problems became huge and unmanageable. The Euro will only work if European diversity gets destroyed: Let Greek and Italians work harder then the Dutch, and Germans, And Germans need to spend more then Southern Europe. 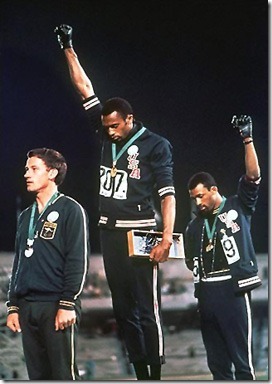 Equal attitudes would not suffice. It is not enough if Italian and Greek productivity and inflation move in unison with Germany, Holland and Austria. 13 years of divergence have to be undone. Germany’s production cost increased 8% over 13 years, and Southern European cost increased 33%. This obviously causes a permanent and lasting trade imbalance. All proposed solutions involve European central government interference to force nations to change their traditional ways. Government interference in wages, prices, borrowing habits. The Greeks need to get forced to work and save like the Dutch, and the Germans enticed to increase wages and spend like the Italians. Rules and agreements have been broken before (debt ceiling, no-bailout-clause, ..). There is no reason that new rules will finally be kept. Nor is it clear that such discipline is desirable and useful for the offending Southern European nations. Not only is the population fiercely protesting against austerity. They are right, austerityis strangling these nations and leads to recession. Currency devaluation and revaluation due to market forces have been eliminated with the advent of the common European currency. Devaluation was the old and tried solution that maintained trade and debt equilibrium and needed no government interference. Author Human-Stupidy (Admin)Posted on July 7, 2012 July 8, 2012 Categories EconomicsTags Euro, Greece, austerity measures, cultural diversity, debt crisis, economy, euro countries, euro debt, target 26 Comments on Different cultures, differing inflation, same currency. The Euro aggresses cultural identities, thus creates animosity. Author Human-Stupidy (Admin)Posted on July 7, 2012 July 8, 2012 Categories EconomicsTags Euro, Greece, austerity measures, cultural diversity, debt crisis, economy, euro countries, euro debt, target 25 Comments on Diversity of European Cultures dooms the Euro. 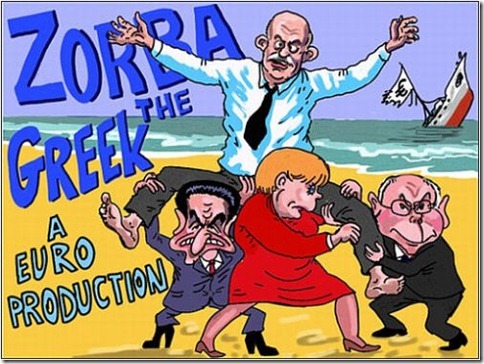 Greeks need to work like Germans, Dutch to spend like Italians for the Euro to function. Different work ethics and morals cause different monetary politics, and make Northern and Southern European economic policies incompatible. Transfer Unions between West and East Germany, Northern and Southern Italy have only wasted money. Bailout attempts will spread bankruptcy to healthy countries. 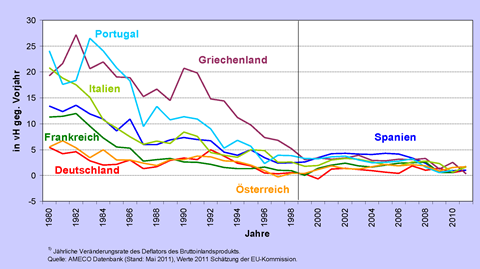 Germany would be the last to fail under the debt of all of Europe. USA and Switzerland function perfectly with clear no-bailout policies towards their states and cities. In Southern Europe, shame tends to be the control mechanism, with one’s relationship to other people and to the group determining acceptable behaviour. Ethics is more related to the situation and who is involved, so ‘rules’ as we perceive them are often ‘broken’. Style is everything; manliness (machismo) counts and should be displayed; dignity and honour must be maintained. The Cultural Value of “The Public Man” is the desire to be someone rather than do something.Success equals social power; being someone personally important, being surrounded by people who look up to you and are dependent on you. The Southern European countries have a different pay and work ethic then Northern European countries. Southern Europeans strike more for wage increases, for lower work hours and earlier retirement. They use more borrowed money, like there is no tomorrow, for instant gratification. Maybe it makes the Southerners happier and more humane then the Northern European work animals. The northern countries have more self discipline, work ethic, self sacrifice. Historically, before the Euro, the southern European currencies regularly suffered devaluations to re-instate an equilibrium. Now putting these countries into one currency simply leads to Southern Europe having too high salaries, too high cost, and being too uncompetitive. These are not the countries where all citizens voluntarily lower salaries, and happily increase work hours and retirement age. Well, reading thru Op-Ed pieces in the New York Times I came across a short piece by U Maryland economist Gayle Allard who explains a core problem with Spain’s economy as a member of the Euro: The country needs periodic bouts of inflation to undo the distortions caused by very powerful unions. This makes Spain’s entry into the euro zone an act of enormous political folly for all involved. While it was doing its fiscal homework, however, Spain overlooked a key requirement for the currency area: staying competitive without a national exchange rate. Spanish labor costs chronically rise much faster than productivity. Spain needs bouts of inflation as long as collective bargaining remains highly politicized. A country that needs periodic bouts of inflation should not share a currency with Germany. One doesn’t need to be a rocket scientist running complex computer models to figure that out.